The infield skin can provide unlimited frustration for a professional groundskeeper. However, identifying the composition of the infield mix will allow you to predict how an infield skin will perform in less‐than‐ideal weather. Managing the skinned portion of an infield is really a science, not guesswork. That’s why it’s important to understand your infield mix soil composition before taking any action. Soil testing provides quantitative data that helps you identify shortcomings in your infield mix. With proper analysis of your test results, you will be able make an informed decision about what course of action to take. 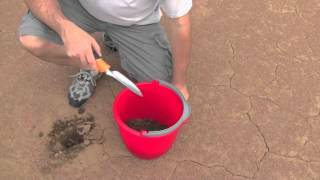 An Infield Soil Test is a diagnostic tool many soil testing facilities can perform. 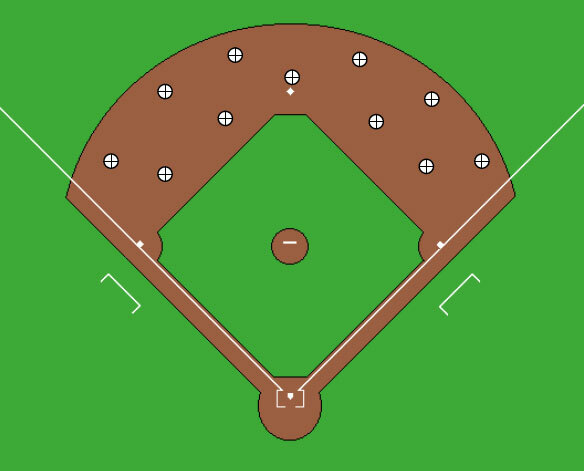 But, a select few can accurately interpret what the results mean in terms of the playability of an infield. At Beacon, we understand how the composition of an infield soil affects game day performance. 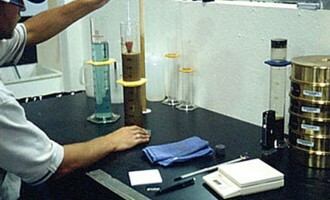 For more than a decade we have specialized in the analysis and interpretation of infield soil tests. Our expert staff of soil scientists and a former Major League Groundskeeper work with one of the top soil testing firms in the country, ensuring your soil test is precise and your analysis is accurate. 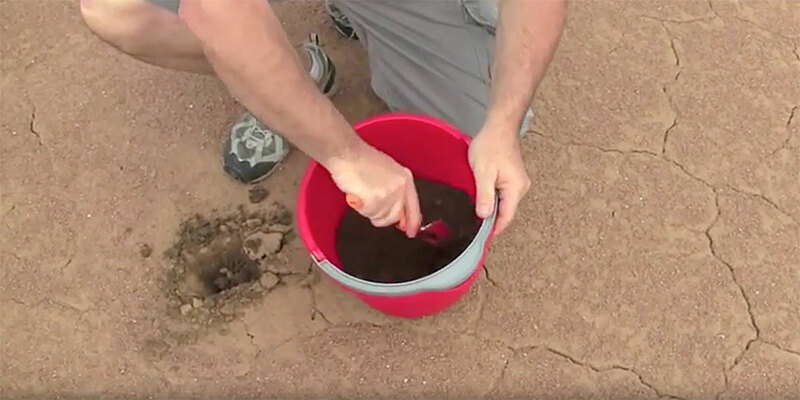 Follow the simple steps below (or watch a Video Demonstration) to properly harvest your infield soil sample so it can be sent in for testing & analysis. 1. Referencing the Soil Sample images shown, randomly choose 8 to 12 locations around the infield skin that you will pull samples from. This is done to assemble a good representative sample of the skin area. 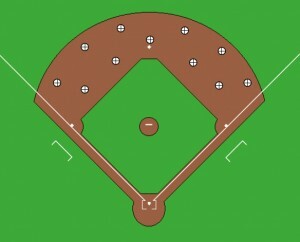 For softball infields, be sure to include samples from the baselines as indicated. 2. If your infield has a topdressing material on it, scrape it away from the areas you are about to sample to prevent contaminating your soil with topdressing. 3. Use a small bucket to collect all of your samples. With a small garden shovel, dig into the infield soil, digging no deeper than 3 inches. Collect a roughly 3″ x 3″ x 3″ deep sample from each location and toss them into your bucket. 5. Typically, you can expect to see results from your infield soil test in 7 to 10 days, or possibly up to two weeks. If the lab you submit it to cannot analyze the results for you, please contact Beacon Athletics and we can lend our expertise to analyze your soil sample.